Musical Influences: Music by the band U.K.
After university Mr Sakuraba had a progressive rock band named Deja-Vu, which released their only album "Baroque in the Future" in 1988. After this album was released, they disbanded in 1989, and Mr Sakuraba started his solo career, releasing his first solo album "Gikyoku Onsou" (an instrumental progressive rock album) the following year. Meanwhile he began a career creating video game music at the gaming company Wolfteam (Telenet Japan). And he has continued doing so ever since, working for companies like Camelot (Sony, Sega, Nintendo, Capcom), tri-Ace (Square Enix, Microsoft), tri-Crescendo (Monolith Software, Bandai Namco), Kids Station and Namco Tales Studio (Bandai Namco, Telenet Japan). Besides game music compositions Mr Sakuraba also composes music for animation and TV drama programs as well as music arrangement for TEAM Entertainment. After not giving concerts for nearly a decade he held three of them in the last decade. Today he is widely praised as both a sophisticated composer and arranger with a distinctive style as well as an excellent gifted piano player. Mr Sakuraba about His Work on "Forest of Glass"
What is the background of this album? I have been saying from some years that I would like to record my own piano in my own studio. Some time ago I bought an upright piano but due to the structure of the piano, performances were limited, and even if the sound had a particular charm, there was insufficient room for expression. When I moved into my present house, I finally got the right environment for work and purchased a long-anticipated grand piano. At last I could dedicate myself to composing this album. What does this album feature? I aimed at something different from jazz, classic and relaxing music. The album consists of pieces composed following my style of playing the piano. I did not want to realise an album formed solely of calm pieces. It includes some improvisations too. I organised it so it can be listened to in one go. Since I tried some experiments it took about two months. During that time I discarded about half of the pieces. Have you made many piano pieces until now? Yes, I composed many piano pieces since when I played in the band [Deja-Vu], both for my interest and for pieces to be played as piano solos. What does the piano as an instrument mean to you? It is the best instrument for expressing my feelings and the main one to make musical compositions. At the same time it remains also an instrument I cannot handle perfectly yet. Which are your favourite pieces of this album? I think they are all worth being listened to, but I could say tracks number 3 ["Tone blender"], 8 ["narratage"], 12 ["Resolution"] and 13 ["Memory in a forest"], for example. Tracks 8 and 13 will be probably familiar to people who attended my live concerts. When would you suggest people to listen to this CD? Personally I think that the soft tracks should be best to be listened while looking at the stars and the moon. The fact is that there are also some high-paced pieces, and I don’t know what situations to suggest for those. How was the recording conducted? Closed in my home-studio, playing the piano on and on until my hands got tired. Out of those play sessions I then made a piece putting together the best passages, and eventually I recorded it. For the pieces composed in the past I re-recorded them after having added new passages. For the improvisations however I just selected the best recorded results which I played without thinking about anything. The most difficult part was to keep concentration all the time, since all of composition, performance and recording was done by myself. Moreover I had no prior knowledge about recording so for me it was hard to set the microphones. For this album I changed position of all the microphones for every piece recorded. I wanted to express the different tone of each track even with the quality of the sound. However this required a lot of time and labour. Usually for a recording the composer has some performers and sound engineer come in, and then the engineer sets the microphones while listening to the music. In my case I continued recording on and on while searching for the best position for every single microphone. It was really hard work but also interesting since I could comprehend how the sound changes with the different setups of the microphones. Please tell us your future plans. I am working on the music compositions for several videogames. I will also make more compositions for a future solo album. Is there any kind of music you particularly like lately? Well, it is not a kind of music but recently I am trying to play electric drums. I am not good at it at all and I received unfavourable opinions but it is still interesting. Please leave a message to your fans. This is an album I made with my whole heart. I will be happy if it becomes one of your favourites. Please give it a try. 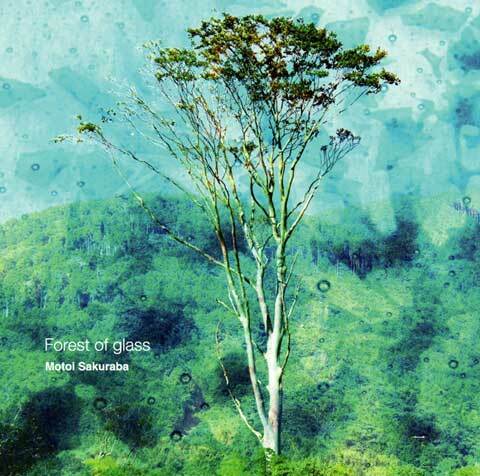 Mr Sakuraba's CD Forest of Glass is available at VGM World. Interview originally conducted in Japanese by Dengeki. Translation by Mr Mardegan. Many thanks go to Dengeki, TEAM Entertainment, Ms Ezaki and Mr Mardegan for making this interview and translation possible. Mr Sakuraba's private Japanese website by Mr Aono contains several noteworthy question and answer sessions for his fans in Italian and English translated by Mr Mardegan. We will update this site with news as they break. For larger texts however it may take some time since the content has to be translated from Japanese to English. We are always looking for additional staff willing to help out with translation and communication. All the others please be patient and thank you for your understanding!